Hello Friends! We have had so many requests to add The Living Christ free printable to our collection of “The Family, A Proclamation to the World” and “Articles of Faith”. These are religious documents from our church, The Church of Jesus Christ of Latter-Day Saints. If you are interested in learning more about our beliefs, read these 3 documents. They share the core values of our church. You will find all of the details of how to build the frames and how to attach the printable in the original post. I should also mention we made these printouts AND frames for $11 each. To make all 3 would only be $33! To see our original post with “The Family Proclamation” and “Articles of Faith” free printables click here. We all have my sister to thank for this free printable. My sister formatted “The Living Christ” document to match the Articles of Faith and Proclamation to the World collection as a Christmas Present for our mom. She did a fantastic job. If you love it, head on over to her instagram page and tell her thank you! 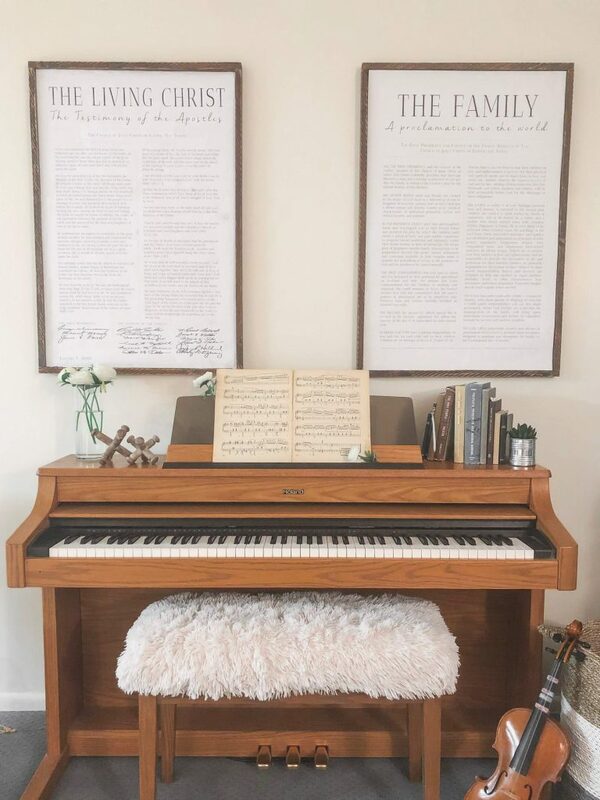 My sister even snapped a photo of The Living Christ printout hanging in my parent’s living room so that I could share it here with all of you. Their sign size is 24″X36″ for reference. Most importantly, here is the link for The Living Christ free printable! If you would like to see more of our home and our projects, follow us over on Instagram. I would really like to print a copy of The Living Christ, but the link you provided denies access and requires you to approve my request to access the file.